This post is brought to you by Crock-Pot® brand. 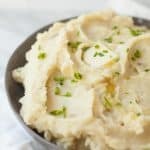 Give yourself a break on Thanksgiving Day, and use your slow cooker to make the Best Ever Slow Cooker Mashed Potatoes! Are you hosting Thanksgiving dinner this year? If so, the slow cooker is your best friend. If you’ve never done the whole massive turkey dinner thing, you might not realize it, but one of the most difficult things about getting that awesome yumminess on the table is timing. It may seem like a silly thing to worry about—who cares if dinner is 15 minutes late—but it becomes problematic when dishes start coming off at different times. No one wants cold food, ya heard? This is where the slow cooker can rock your holiday. Will you be able to fit your 20-pound bird into your slow cooker? No, but the slow cooker can take some of the other dishes off your hands while you focus on the rest of the meal. And the slow cooker can do it with impeccable timing—just set the time you want the dish to be ready to serve, and like magic, it’s ready to roll. Mashed potatoes are one of my very favorite Thanksgiving day dishes to “hand off” to my beloved slow cooker. It’s not that mashed potatoes are particularly difficult or time-consuming to make the normal way—they aren’t—it’s just that if I let the slow cooker do the work, that’s one less thing I have to think about on turkey day. 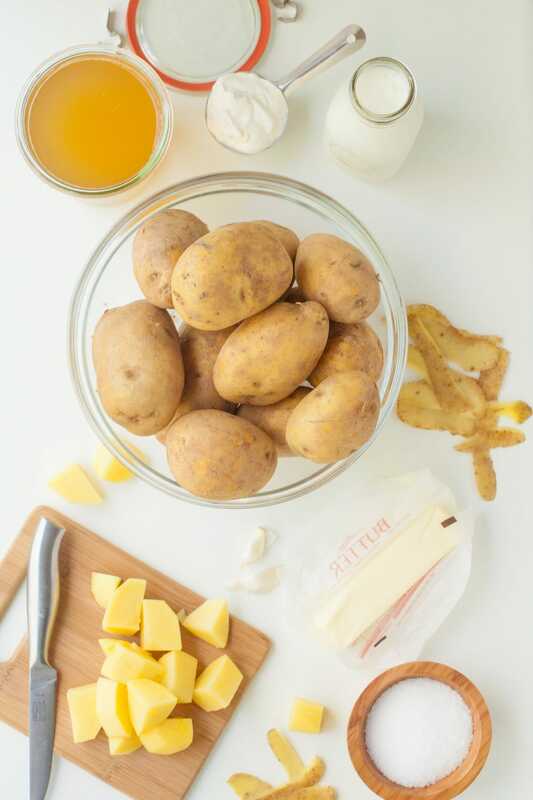 When it comes to the timing issue, before I started using the slow cooker to do my potatoes, I always seemed to be waiting for my potatoes to boil or over boiling my potatoes or they’d be ready too soon and cold by the time they got to the table. I could just never get the timing right. Now with the slow cooker? My mashed potatoes are hot, creamy, and ready to go whenever I am. With barely any work or thought on my part. Honestly, I’ve almost forgotten the potatoes multiple times because I spaced I had made them! That’s how hands-off this whole process is. Now, I’m a bit of a mashed potato snob. I buy good (read: way more expensive than a tuber should be) potatoes. I use real butter, cream, and salt. 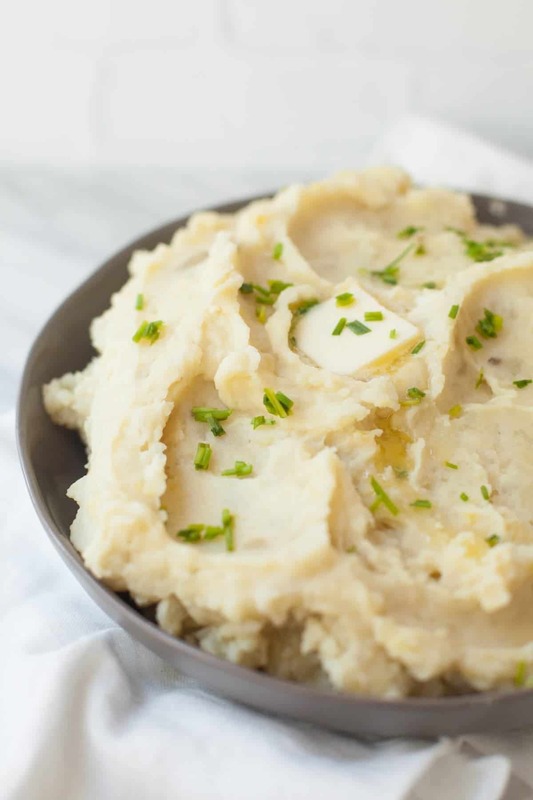 Because of this, I never thought in a million years I’d like mashed potatoes cooked in a slow cooker made with chicken broth—but oh my gosh, guys, these are the best mashed potatoes ever. I first made them this way a few years back, and it immediately became my favorite way to make mashed potatoes. Cooking the potatoes in broth adds so much flavor, and you still get the creamy, dreamy, smooth texture by adding in cream (on in this case, whole milk, but cream works, too) and butter at the end. I’ve been perfecting the method and recipe so I can share it with you just in time to put on your Thanksgiving Day menu. A word of warning: because you are slow cooking potatoes in broth, the end result will be darker than the fluffy white clouds you’re used to on your Thanksgiving plate. This is exacerbated by the fact that I like to use Yukon gold potatoes. My mashed potatoes are yellow. And I’m okay with it. And you will be, too, once you take your first bite. If you prefer, you can use all Russet potatoes or a combo of Russet and Yukon Gold. If you’re planning on making this recipe for a crowd, know that this recipe is pretty much infinitely multipliable (is that a word?). Your only limit is the size of your slow cooker. 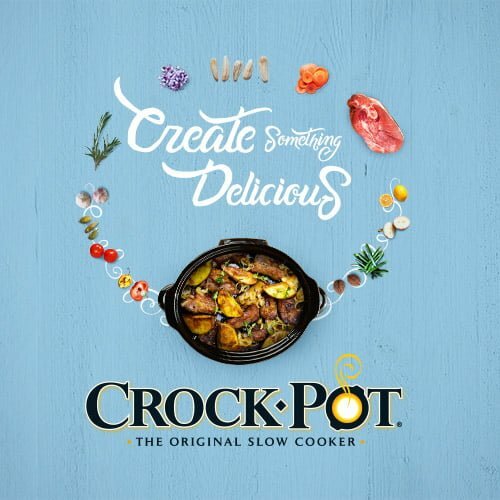 I use my Crock-Pot® 5-in-1 Multicooker which holds six quarts. I like to assume around 1/2 pound of raw potatoes per adult at my Thanksgiving dinner. The recipe below calls for five pounds which is enough to serve 10 people and will fit in a standard three-quart slow cooker (like this one from Crock-Pot® brand). If you double the recipe, you’ll have enough to serve upwards of 20 hungry people, and it will still fit in a six quart slow cooker like the one I use. As far as mashing method goes, you wouldn’t really think it’d make much of a difference, but I’ve done a lot of testing, and I think I’ve narrowed it down to the best way—a manual potato masher followed by a quick whipping with an electric hand mixer. Potatoes are tricky, because if you mash them too much, they turn into glue. 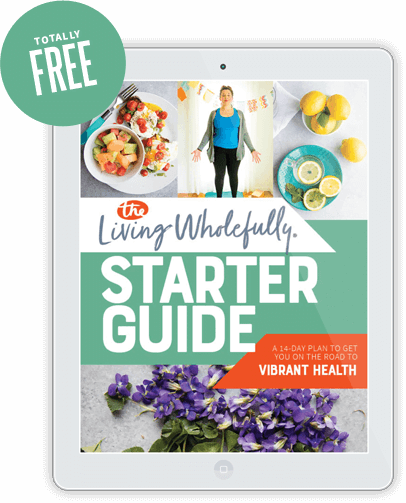 You might be tempted to use a mixer or a blender or a food processor to speed up the mashing process, but unless you’re really careful, those can result in gummy potatoes fast. I highly recommend using good, ole elbow grease to get the job done. The best tool for this is a potato ricer, but I found that I used one so infrequently, it wasn’t worth precious kitchen space. Instead, I recommend getting a hand masher that has a mashing plate (like this one). It really makes a difference! And then, once there are no lumps, I recommend using a hand mixer (this is the one I have) and whipping the potatoes just until they look nice and fluffy—you don’t want them to go gummy—keep the whipping stage to less than a minute. I hope you enjoy this recipe, and I hope it helps make your Thanksgiving a little bit easier! To help even more, my friends at Crock-Pot® Brand are offering two awesome deals for you guys. First up: if you’re needing a new slow cooker for the holidays, you can use this link and get 20% off all Crock-Pot® slow cookers. 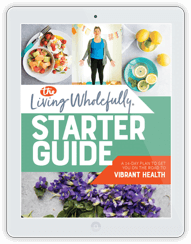 This discount is only for Wholefully readers, and that link is the only way to get it, so make sure to click, click, click! Secondly: Crock-Pot® Brand is giving away one Single Hand Cook & Carry™ 6-Quart Oval Slow Cooker. Use the giveaway widget below to get entered! 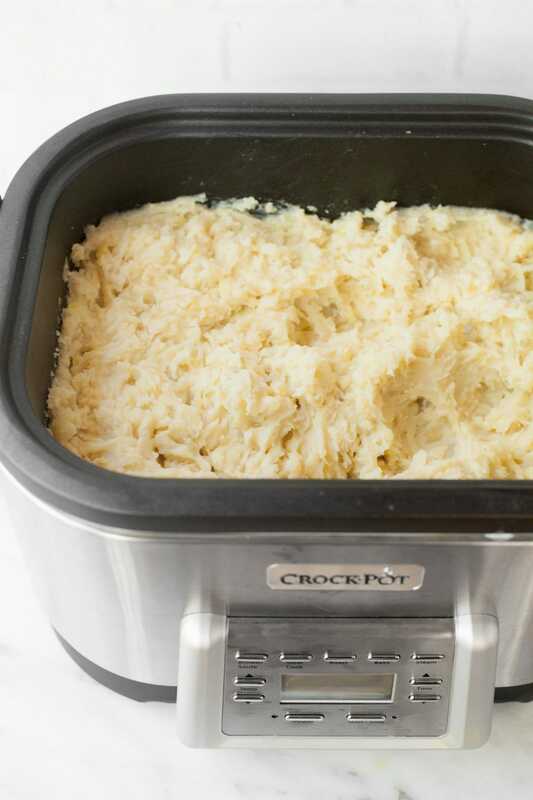 Give yourself a break on Thanksgiving Day, and use your Crock-Pot® to make the Best Ever Slow Cooker Mashed Potatoes! Combine the potatoes, broth, butter, 1/2 teaspoon salt, and garlic in the basin of a slow cooker. Cook on high for 3-4 hours, or low for 4-6, or until the potatoes are very tender. Stir occasionally throughout the cooking time to make sure all the potatoes touch the broth at some point. Mash the potatoes using a hand-held potato masher until no lumps remain. Then, mash in additional salt to taste, sour cream, and whole milk, starting with 1/2 cup, and adding more until the potatoes reach your desired consistency. Optional: Using an electric hand mixer, fluff the potatoes just for about 20-30 seconds to get that whipped potato texture. Do NOT overmix or you risk your potatoes turning gummy. Sprinkle on chopped chives, cover the potatoes, put the slow cooker to warm, and then serve. Awesome! I love mashed potatoes too and especially today as I’m back from some jaw surgery haha. I can’t have dairy though so I always make mine with olive oil (I like the taste of a strong olive oil) and an egg yolk, but I wonder how that would translate in a slow cooker. Any thoughts from the pro? 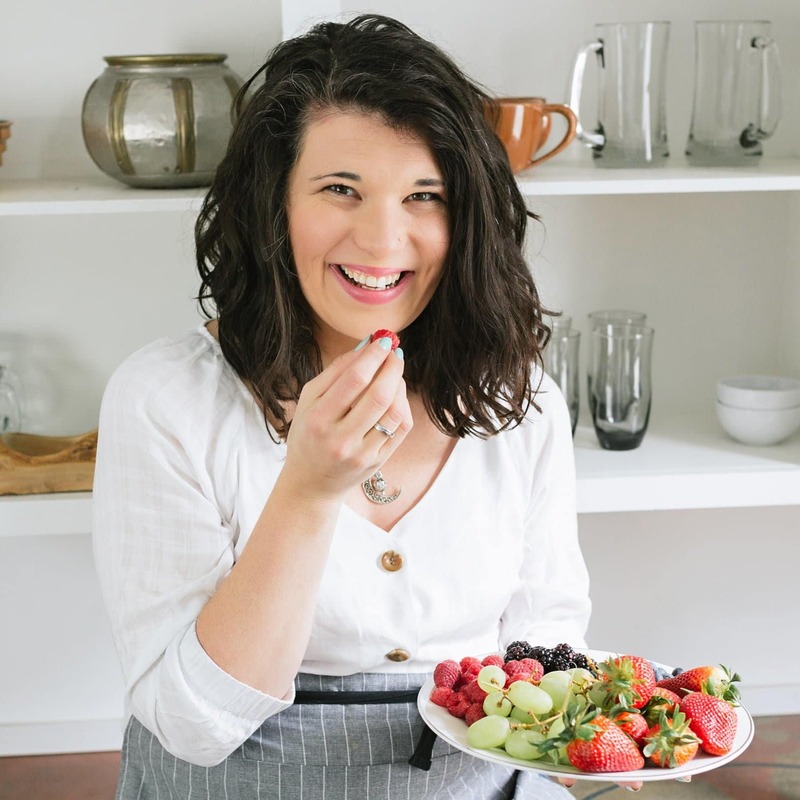 On another note, will your lunch cookbook be out right on time for my return to work after maternity leave? :-D We struggle for lunch ideas so much in this family! Are you okay with using plant-based butter (like Earth Balance)? If so, I’d use that during the cooking, and then use a plant-based milk at the end (obviously, an unsweetened, unflavored one) and plant-based plain Greek yogurt in place of the sour cream. 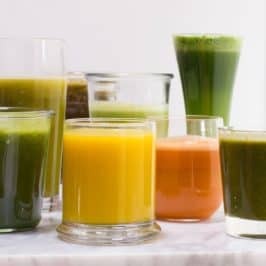 I’ve never tried the egg yolk method! 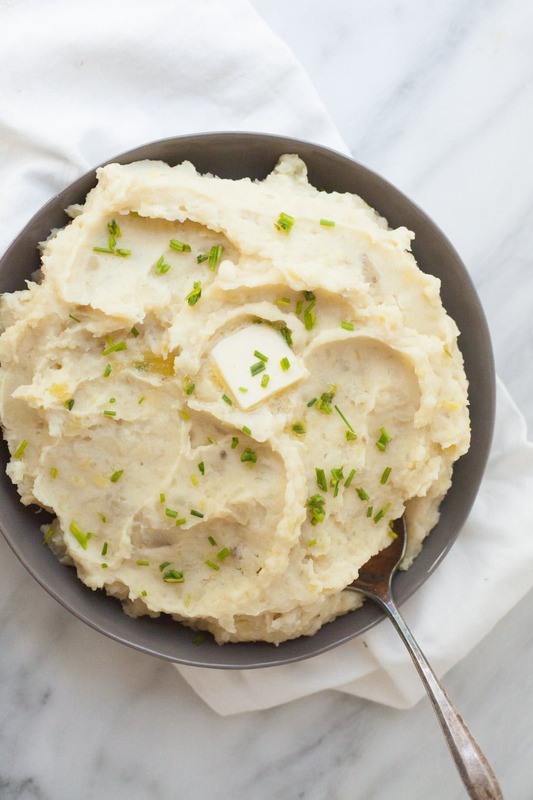 I never thought about making mashed potatoes in the slow cooker before! This is genius!!! Also, butter and garlic make just about everything better. 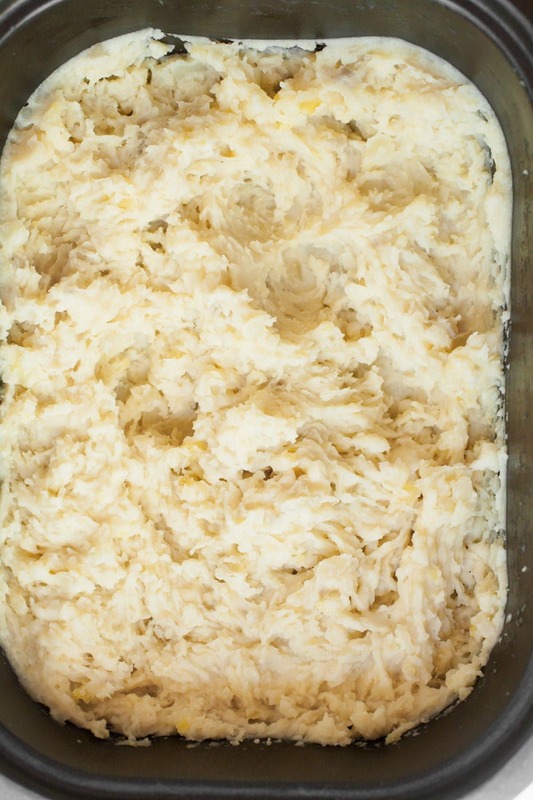 These mashed potatoes look SO delicious! I’ve never been a mashed potato fan, but my most favourite way is mixing in herb and garlic cream cheese and then popping them in the oven for a bit. Oh MAN, that sounds amazing! I’m totally trying that for Thanksgiving. YUM. 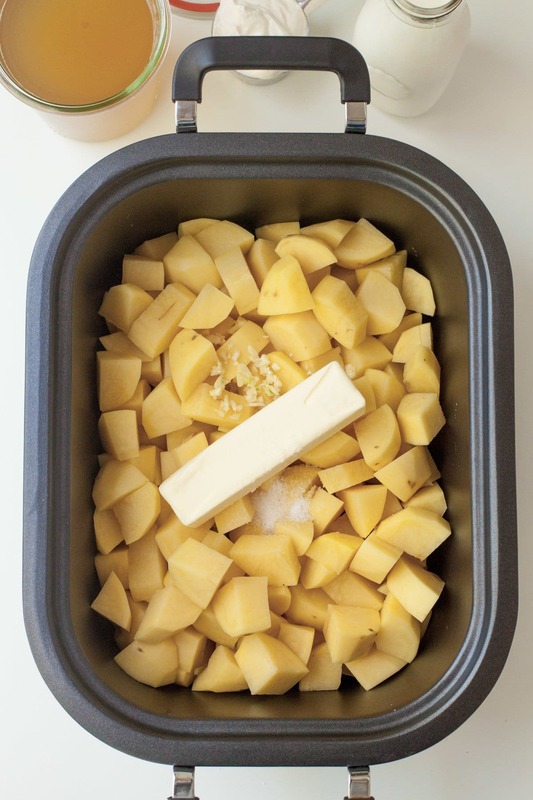 we always use gold potatoes, but I never thought to cook them in stock or in the slow cooker! these look pretty much perfect to me! Never tried mashed potatoes in slow cooker. This is great. Will try this out. Oh yum! I use as many small appliances as possible when hosting a large group. It saves so much time and space! 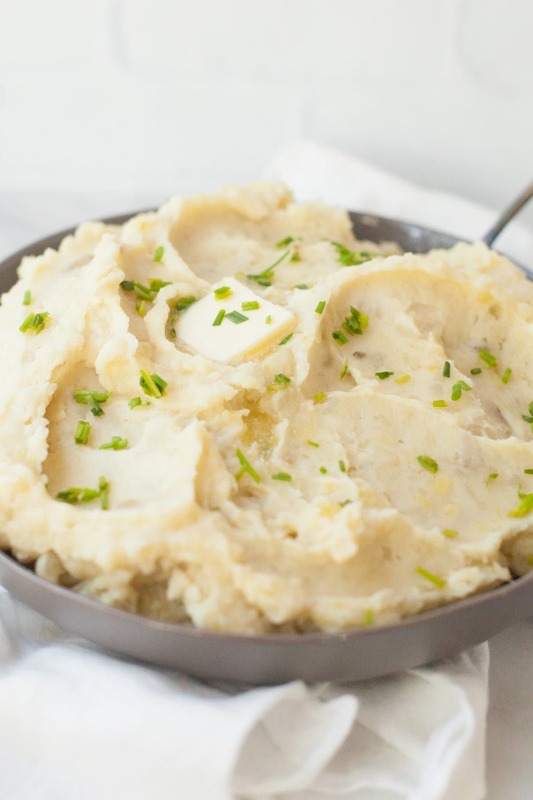 Great idea to make mashed potatoes in a crock pot! This looks so yum My husband has a potato allergy like a big fat weirdo, So I try to stay away from potato as much as I can, but man you’re making it so hard with this recipe. I’m definitely making these for Thursday. 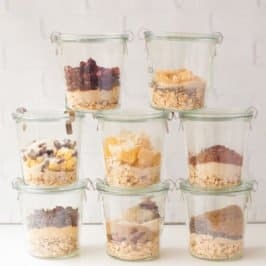 Quick question, but do you think they would be good if I make them on Wednesday, let them cool and then refrigerate in the crock pot, then use the crock pot to reheat them Thursday? We’re traveling and I don’t think we’ll be at my mom’s house in enough time to cook them for four hours on Thanksgiving day before we eat. Thanks! This is a great idea – if you double the recipe, does the cook time also increase? My husband is the mashed potato chef extraordinaire at our house. This method looks like a fantastic idea. 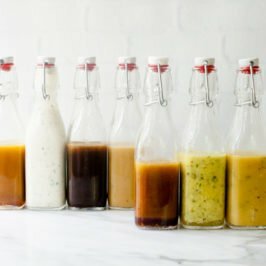 I am wondering if you could use plain water instead of broth? I know he won’t want to change up his recipe too much, especially for Thanksgiving. He’s very much into tradition. Thank you! Can I cut up the potatoes the night before and add the rest of the ingredients in the morning? Or will they get weird? This recipe looked like a recipe I had used in the past but somehow misplaced it. I was hoping this was it but was greatly disappointed. I followed your recipe exactly but ended up with very bland mashed potatoes with small lumps. I have no idea why they turned out this way. I even used my electric hand mixer much longer than I probably should have but fortunately they didn’t get gummy. I had to really doctor these potatoes up with garlic powder, garlic salt, onion powder – just about anything I could find in my spice rack to give them some flavor. I timed them so they would finish in the crock pot about an hour before we planned on eating so I don’t think they overcooked. As far as the mashing of the potatoes I would recommend a ricer. If I had used one of those I could at least say they weren’t lumpy. Sorry I dont have a more positive comment. 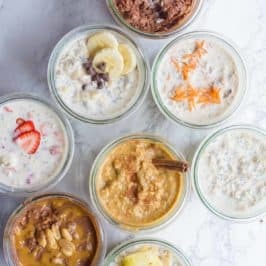 Saw your recipe on CupofJo! Two of my favorite bloggers colliding! If you’re doubling the recipe, what would the cooking time be? 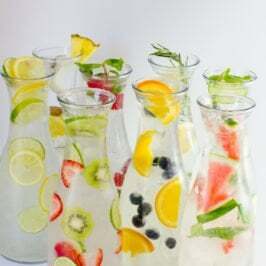 Can you use just regular water for this recipe? I want to serve it with a beef stew…. You might lose a little of the richness, but I can’t see why not! Sorry to hear they were soupy! Did you use the full cup of whole milk? That could be the cause of the soupiness too! You don’t mention whether or not to drain the broth and that could be the problem. I am cooking them now and there is a lot of broth on the bottom of the crock pot that i will probably dump. If not, they will be souply. I usually roast a whole head of garlic and add to my potatoes before mashing. Do you think I could do that with this recipe instead of adding the minced garlic at the beginning? I would probably add it at the end when you mash the potatoes instead!